Kill Us But you Will Never Stop Us! On Friday night, 27th , Mariano Abarca Roblero was assassinated by gunshot. Mariano was one of the strongest opposition leaders against mining exploitation by the Canadian mining company Blackfire in the hills of Chiapas, Mexico. Gustavo Castro, of the Network of Mexicans Affected by Mining (REMA for its initials in Spanish), said that according to those close to Mariano he was assassinated around 8:30 PM in the main part of Chicomuselo, close to the border with Guatemala, by a motorcyclist carrying a high-caliber weapon. They explained that Abarca Roblero was talking outside of his house with Orlando Velásquez, also a member of REMA-Chipaas, when an unidentified person shot Abarca in the head and the chest. Velásquez was also was wounded and was transported immediately to a hospital en the city of Comitán. Last August 17th, Mariano Abarca was arraigned by the Prosecutor General of State Justice after he was accused by Blackfire of various charges including organized crime. Due to a national and international outcry against this injustice, he was freed on the 24th of the same month, where he immediately joined the sit-in with his fellows in the municipal seat of Chicomuselo to press for the immediate removal of the company. At the end of August, the participants in a second meeting of Chiapas members of REMA in Chicomuselo, celebrated his release. Castro said that the opposition leader in the exploitation of mines had filed a criminal complaint against a man (whose name was not provided) who was supposedly used by Blackfire to incarcerate Mariano in August. He said that this person had been summoned to appear before the proper authorities yesterday, but the case was postponed until next Thursday. Gustavo Casrtro put forth his theory that the murder of Mariano Abarca is related to his years of campaigning against mining exploitation. According to data from REMA, the federal authorities have authorized 54 permissions for mining exploitation to Canadian Companies in their municipalities: to Blackfire extract barite, gold and antimony en more than 10 concessions; Linear Gold Corp, with 24 concessions, mostly gold and some of them granted for 50 years; Frontier Dev. Group with 12 projects, and also with New Gold Inc. with three concessions and Radius Gold with 7, although apparently these last ones have been withdrawn. The Mexican Alliance for the People’s Self-determination (AMAP for its initials in Spanish) expresses its condemnation for the assassination of Mariano Abarca Roblero, which occurred the night of the 27th of November in Chicomuselo, Chiapas. The same attack also resulted in the grave wounding of his companion Orlando Velazquez. Mariano led a citizen’s resistance in the municipality of Chicomuselo against the Canadian mining company Blackfire and participated actively in REMA (the Mexican Network of People Affected by Mining). Given his intense activity he was harassed on many occasions ans arbitrarily detained last August, where he was kept for 10 days before being released. However, the hostility against his person has recently increased. Only a few days ago he filed formal charges against the Directors of the Blackfire, who had delivered death threats in a public manner and appear to have followed through on them. AMAP demands that this crime not go unpunished and beseeches to the government of Chiapas led by Juan Sabines that the material and intellectual perpetrators of this crime be prosecuted to the full extent of the law , and that the Attorney General’s office immediately follow the investigations already begun on the denunciation made by Mariano against LUIS ANTONIO FLORES VILLATORO and CIRO ROBLERO PEREZ, the first of these head of public relations for the Blackfire mine, who had publicly threatened to kill Mariano Abarca. No more crimes against defenders of social justice! End the criminalization of citizen protest! 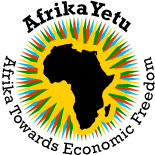 This entry was posted on Mar 23, 2011 by AfrikaYetu in Int. News, Integrity & Accountability, Networks.